If you never saw the Ramones, this is your one chance to see Richie Ramone with all his power and spirit of CBGBs in the 70s. 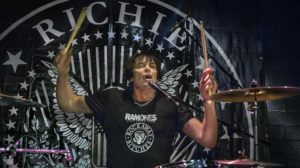 Richie Ramone is the fastest, most powerful drummer who ever played with the legendary punk rock band the Ramones. He joined the Ramones in 1983 and first appeared with the band on their Subterranean Jungle tour. 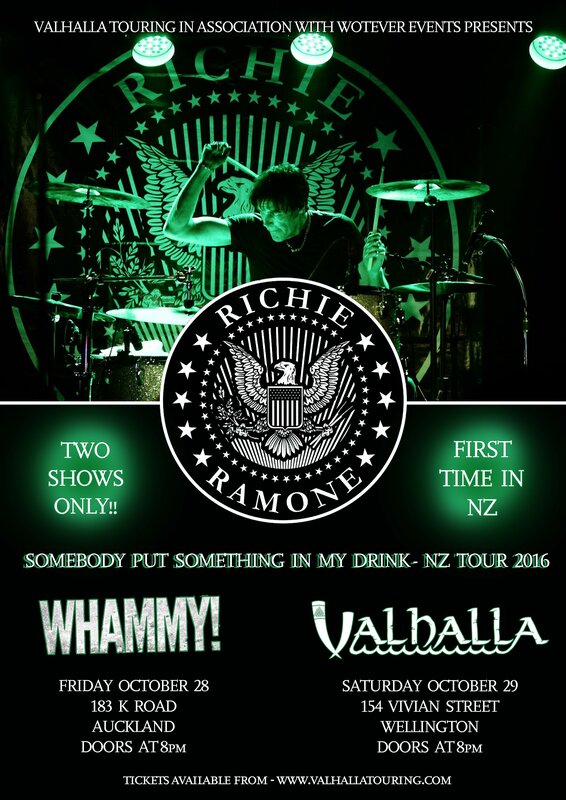 Now Richie, the one Ramone who’s Too Tough To Die, brings that blistering backbeat of Ramones tracks to venues in Auckland and Wellington. If you’re not cool enough to know the band and the songs, or see Richie Ramone tear it up live, you’ll never be cool enough to wear the t-shirt.